START LIVING THE LAKE LIFE NOW - This baby is selling FURNISHED. LIFE @ Mark Twain Lake...is always best when you have that "perfect place" to call your home away from home. 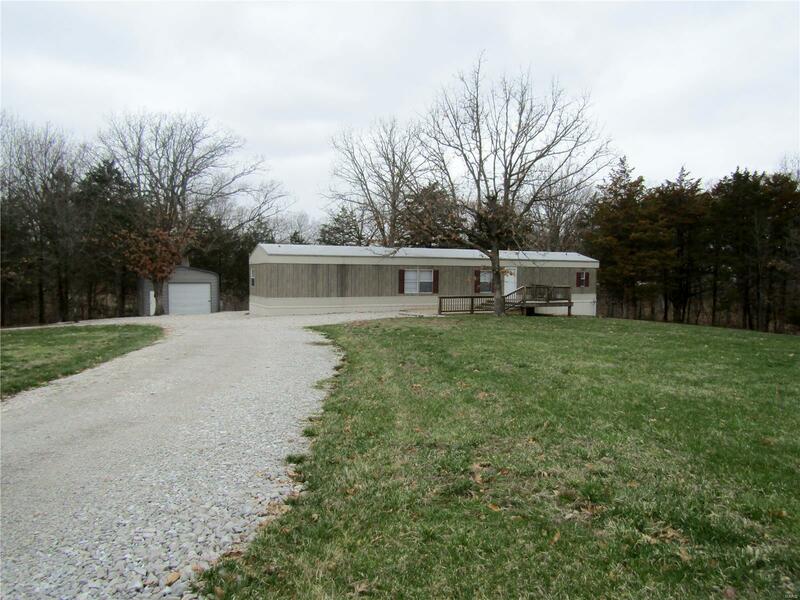 22079 Pleasant Grove Road, Center, MO gives you 3.02, mostly wooded, acres, a 3 bedroom, 2 bath, 2008+/- Manufactured home with a Great Room Floor Plan, a Garden Shed, AND a Garage with concrete floor. All the parking you'll need for boats, campers (extra hookup in place) & your other toys! Want more...Rural water, high speed internet available, septic with laterals, loads of trees and great outdoor living areas. Location-Location- Location: it's less than 3 miles from Black Jack Marina & 2 miles from the Clarence Cannon Dam. Pack your clothes, poles, coolers and floaties...it's waiting for YOU to move in and START PLAYING! 22079 Pleasant Grove Road, Center, Ralls County, Missouri 63436. In a platted subdivision - minimal Covenants and Restrictions.